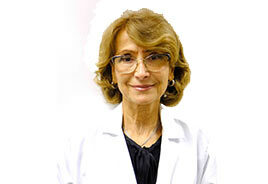 A certified neurologist, Mira Scherer, MD, DO, PhD, has been helping people with brain disorders since 2001. At Brooklyn’s Century Medical and Dental Center, she’s a respected neurology doctor who handles complicated medical cases. The science of neurology has made enormous leaps forward in the past few decades, and Dr. Scherer keeps on top of all the latest techniques and promising treatments. She understands the emotional impact of neurological disorders as she works to address symptoms and treat the cause of the problems. Initially, Dr. Scherer earned a Doctor of Medicine (MD) degree with honors in 1976 from the Andizhan State Medical School, followed by a residency in neurology and a fellowship in cerebrovascular diseases. But then she went back to school to obtain her Doctor of Osteopathic Medicine (DO) degree from the New York College of Osteopathic Medicine. She completed another residency in neurology and fellowship in clinical neurophysiology at St. Vincent’s Hospital and Medical Center. She’s been certified by the American Board of Psychiatry and Neurology and the National Board of Osteopathic Medical Examiners. The author of medical studies, she’s also been an Honored Member America’s Registry of Outstanding Professionals. She speaks both English and Russian fluently. Make an appointment with Dr. Scherer for the best neurological care in Brooklyn.